Condition: Provides tours to the public and can be hired as a venue for weddings and other events. Notes: Drimnagh Castle is a Norman castle located in Drimnagh, a suburb of Dublin, Ireland. It is the only remaining castle in Ireland with a flooded moat around it; this moat is fed by a small local river, the Bluebell. 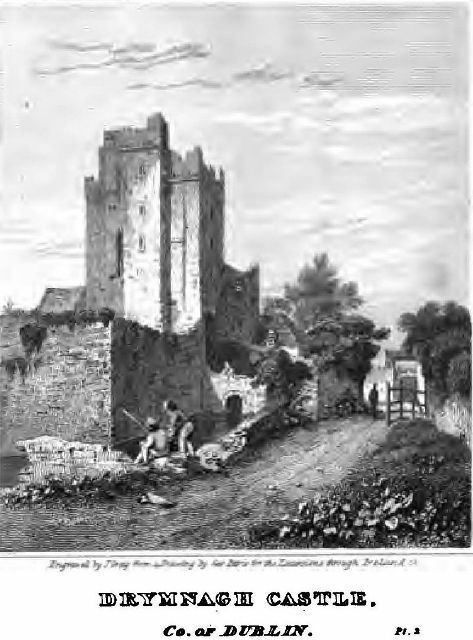 Drimnagh Castle Christian Brothers Schools is located next to the site of the castle. A number of movies and TV productions have been filmed at Drimnagh Castle, most notably 'The Abduction Club' 2002 directed by Stephen Schwartz, 'Ella Enchanted' 2004 directed by Tommy O'Haver and 'The Tudors' 2007 created by Michael Hirst.